1976-2009 – Asst., Assoc. and Prof. of Agricultural and Resource Economics, Wash. State Univ., Pullman. 1974-75 – Project Economist, USAID-Oregon State Univ. Weed Control Project, Brazil. 1970-73 and 1975-76 – Graduate Fellow and Research Assistant, Oregon State University. 1968-70 – U.S. Peace Corps Volunteer, Livestock Economist, UN-FAO Project, Kenya. 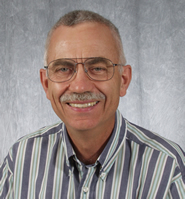 Dr. Young is the author or coauthor of 78 journal articles, 26 book chapters, and over 280 other items. A complete listing is available upon request. While at Washington State University, he has served as chair for 38 graduate students, and received over $1.9 million in grant funding for research.